Tabitha Miles was an independent crafter, one of the best to work in Copper Cove, city of wonders and steam. Her life was a series of commissions, repairs, odd jobs, short-lived romances and breaks for tea. It was a quiet life. She never counted on getting involved in a dark conspiracy, or getting chased by insane guild enforcers. She never thought she’d meet a lovely, determined newspaper reporter and fall in love. She never expected that she’d end up a hero. Tabitha Miles is a steampunk fantasy series with romance, adventure and tea. It’s written by Robert Dahlen, author of the Monkey Queen series. The first book, Copper Cove, is available through Amazon, Kobo, iTunes and other web retailers. Look for the second book soon! 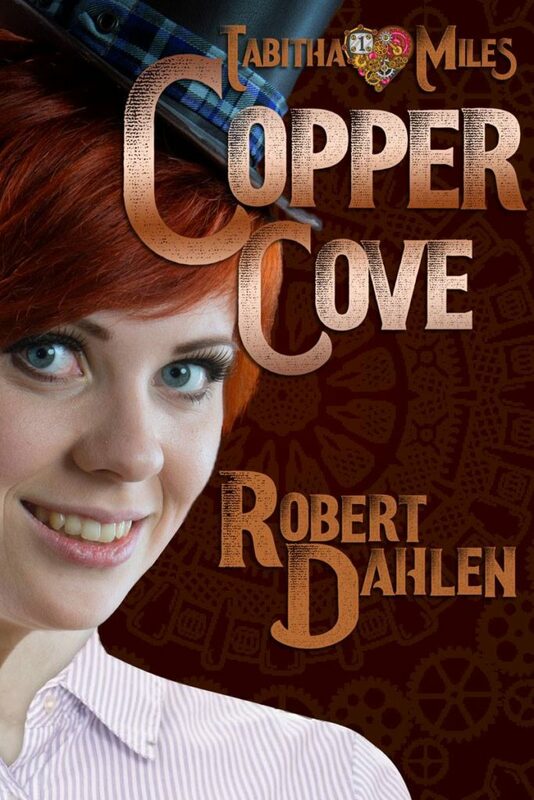 Read a preview of Copper Cove here!